An explosion at a power substation in Philadelphia left 2,700 people without power and set off the station’s fire suppression systems. 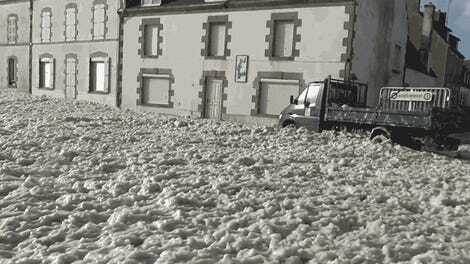 Then, an impressive quantity of foam spewed out and eventually spilled over into an street below. If you watch to the end of the video, you can briefly see what seems to be another transformer exploding. 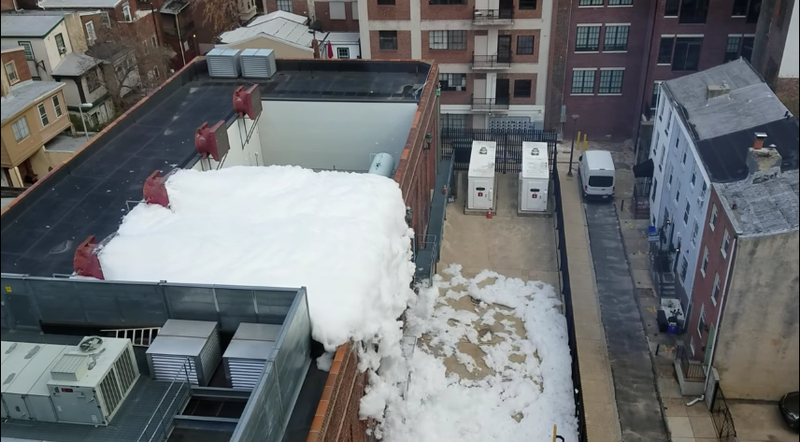 According to a spokesperson for the substation who spoke to Philly.com, the fire retardant foam isn’t toxic or harmful. So I guess we can just enjoy some foam.